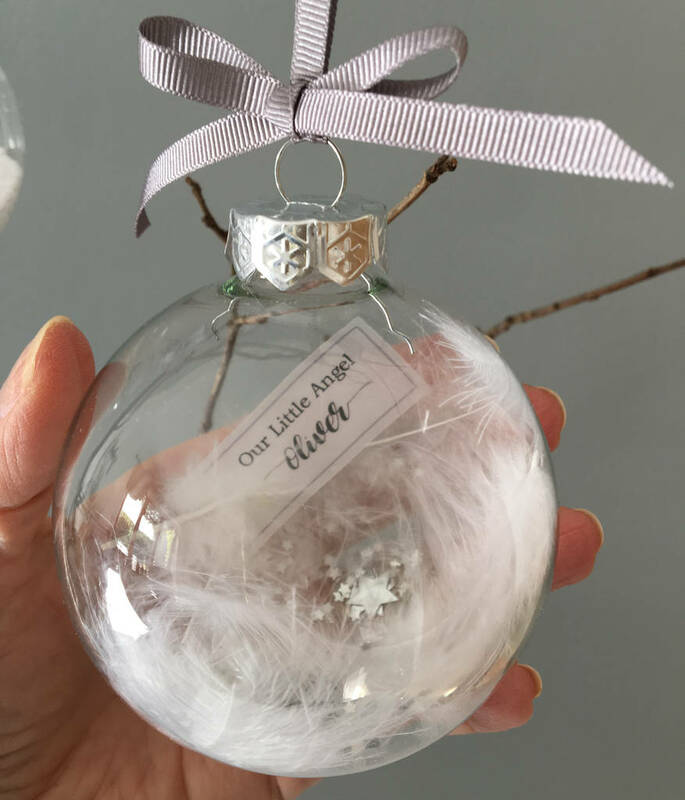 A stunning handmade personalised memorial bauble, with your own special message. 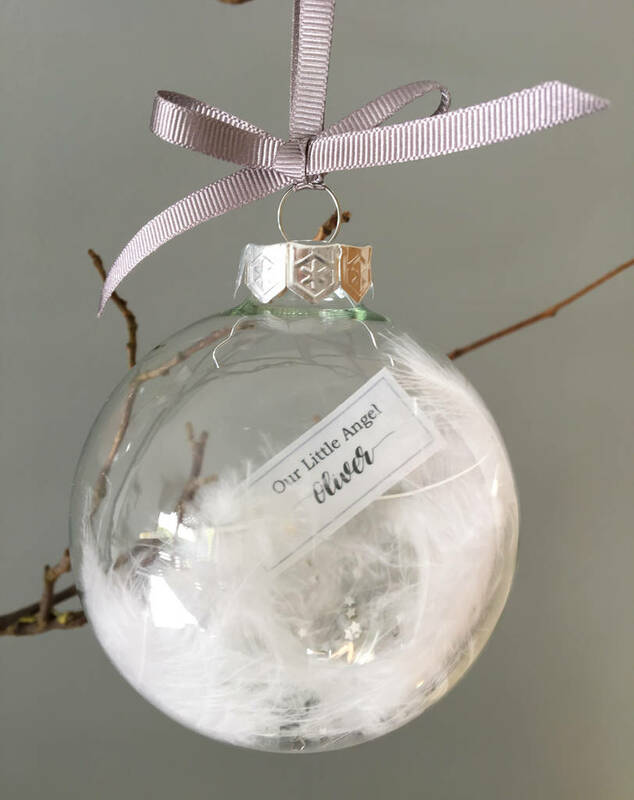 Cherish those you hold dear this festive season with our Personalised Memorial Bauble. 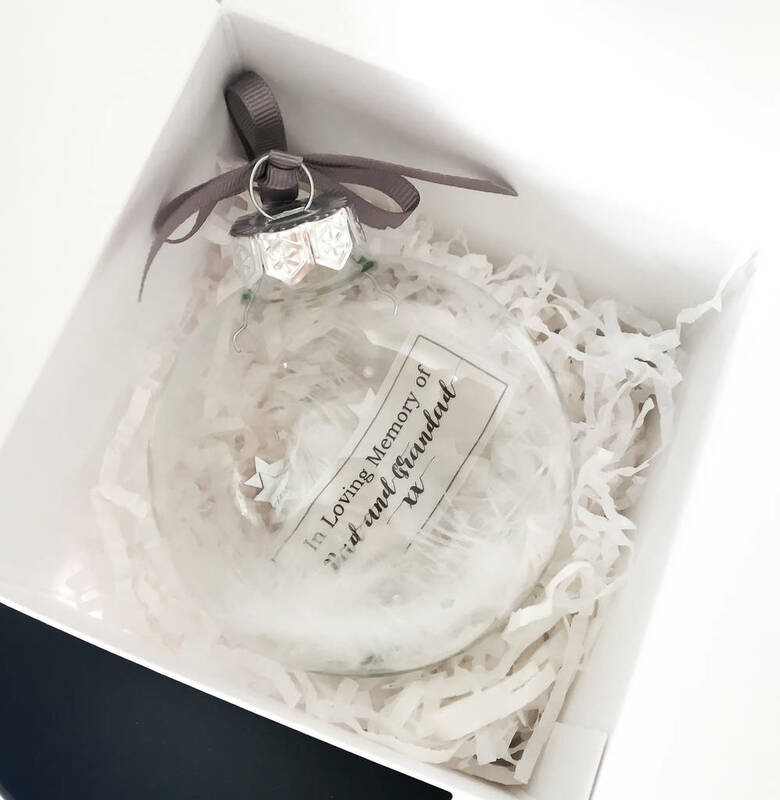 A lovely keepsake to treasure and help you reminisce. 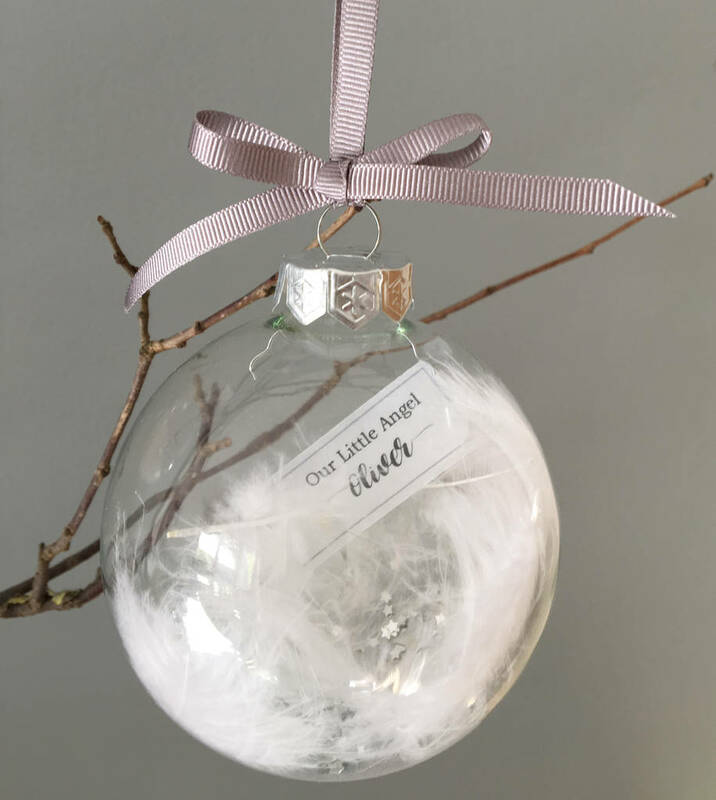 A wonderful and personal addition to the Christmas tree, and a beautiful way to remember a loved one at Christmas. 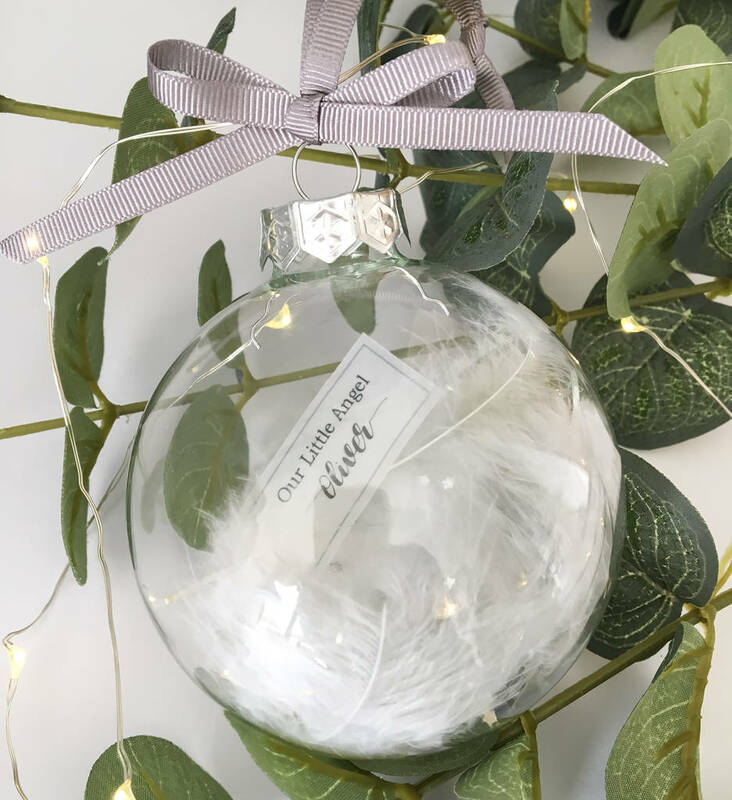 These baubles are handmade in our studio allowing us to personalise and decorate the hanging bauble making it extra special. 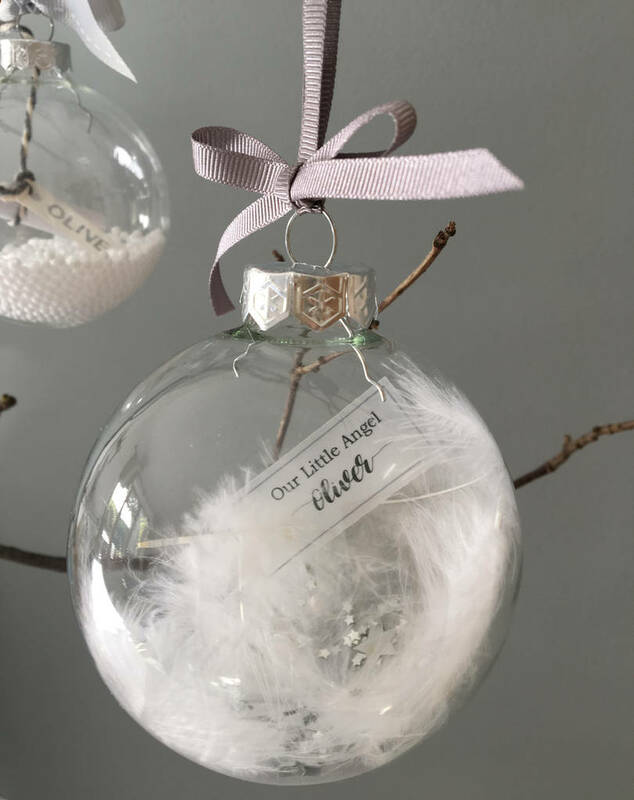 Filled with beautiful soft white feathers and silver stars and finished with a personalised stunning vellum paper message. 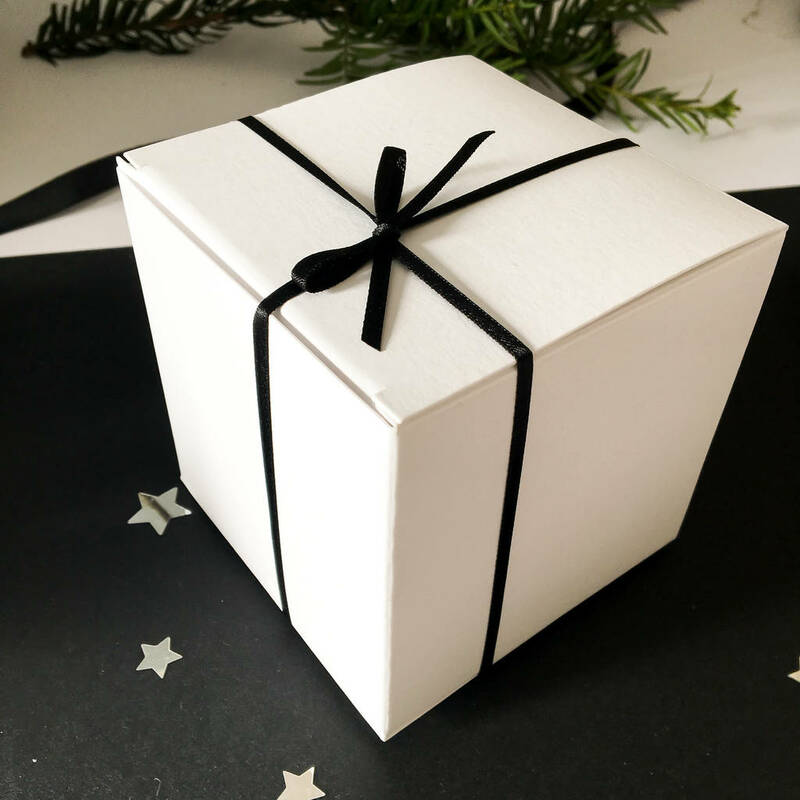 Just enter the mesage you would like in the boxes opposite. There's an option to add a gift / presentation box for your bauble. 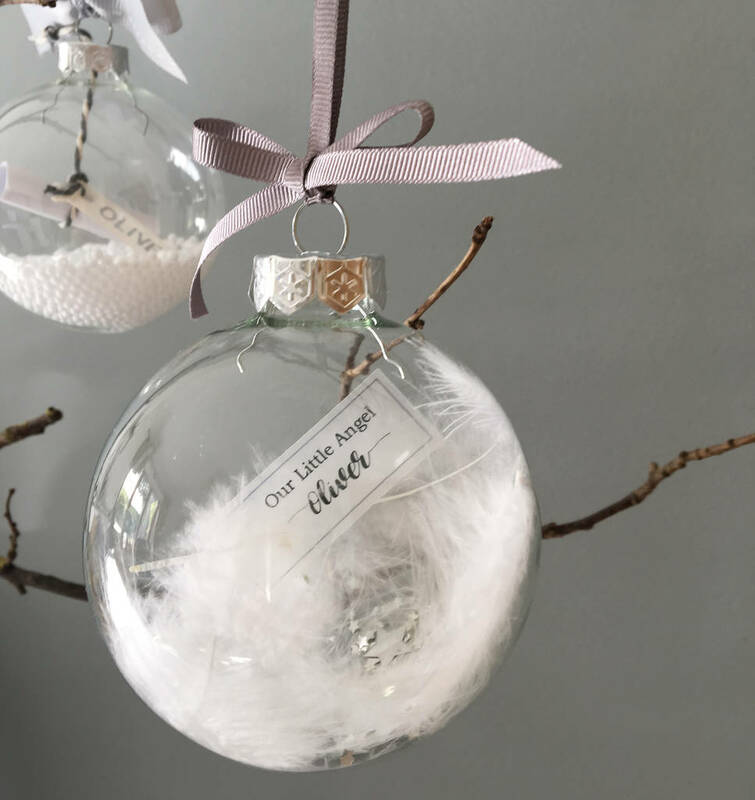 Just use the drop down menu opposite. 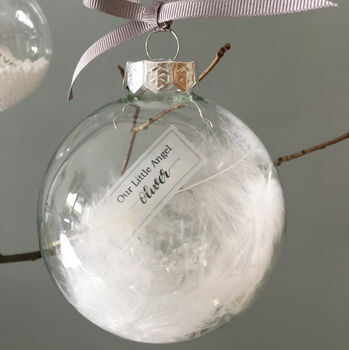 *Please note these are glass baubles and need to be handled with care! 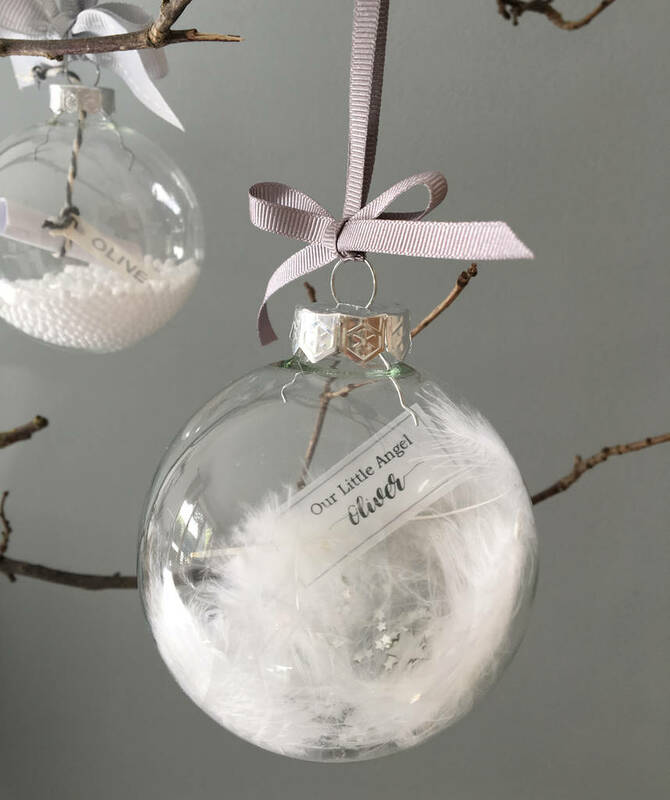 This product is dispatched to you by Little Bird Designs.